Enjoying a healthy, low calorie snack doesn’t mean you have to skimp on portions. Consumers have plenty to choose from when they get the urge to munch in between meals and want a decent helping. Back in the 1600’s, French author, Francois de La Rochfoucauld said, “To eat is a necessity, but to eat intelligently is an art.” When we get the munchies, eating intelligently isn’t always the first thing on our minds; sometimes we just grab a quick fix as opposed to healthy food. We may have regrets later when we add up all the calories. The good news…today, dieticians say it shouldn’t be as hard to keep the calories in check; that there is plenty of low calorie snacks to choose from, and you don’t even have to skimp on the portions. There was a time when we were told that snacking was simply bad for us; that it made us fat. That is no longer the case. 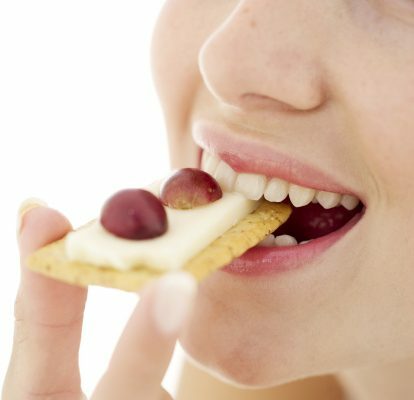 Nutritional researchers, including those at Harvard now say that snacking is in fact part of a “healthy diet”. Putting junk food that has empty calories aside, the researchers say that snacks provide needed energy in between meals. They also believe that if you indulge in snacks when it comes to lunch or dinner, you are less likely to binge or overeat during those meals. Studies show you are also less likely to choose items with high fat content. Another reason snacking is considered a good idea; they can add phytonutrient-rich foods to your diet that you wouldn’t otherwise get. Phytonutrients are compounds that occur naturally in plants, for example beta-carotene. They have been linked to the prevention of diseases such as cancer. The food industry has answered the call for snacks that have fewer calories. There are so many pre-packaged snacks on supermarket shelves now that are anywhere between 100 and 200 calories. Healthy food choices such as Smart-pop Kettle corn, Terra Mediterranean Chips, Laughing Cow Mini Babybel Light, and Low Fat Fig Newmans are just a few examples. Consumer advocates say while you get a good portion to satisfy your appetite, you do tend to pay for the packaging, so if you want healthy food without the price tag, you can also turn to home-made snacks. If you tend to reach for the sweet treats when you want a snack, try fruits like watermelon, honeydew, cantaloupe, apples and apricots. One cup of these delicious snacks is only around 60 calories. Some fruits are high in sugar, but these fruits are packed with water. Grapefruit is another good option; it is 90 per cent water. When fruit just doesn’t appeal to you, try this…strawberries dipped in chocolate. Now this may sound sinful, but this sweet snack has nutritional value and depending on what type of chocolate you use, can be low in calories. A very large strawberry is only about 9 calories. Chocolate can be between 130 and 160 calories per ounce. The best approach is to use dark chocolate and you will be cutting down on the number of calories. Not only are you reducing sugar, dark chocolate is also known to have antioxidant properties. No one really likes counting calories, and while snacking can’t be limitless, there are options that do allow for an ample portion. One example is the hummus craze. North Americans love to snack on hummus and chips or hummus and pita bread. A healthier alternative is hummus and celery or cucumbers, broccoli, and baby carrots. The vegetables have fewer than 60 calories and the hummus is about 20 calories per tablespoon; less if it is home-made. Here are some other snack options that include generous portions. All of these are below 200 calories. With a little thoughtful planning, snacking doesn’t have take a bite out of our good health… it can be good for you, delicious, and it doesn’t have to feel so restrictive.